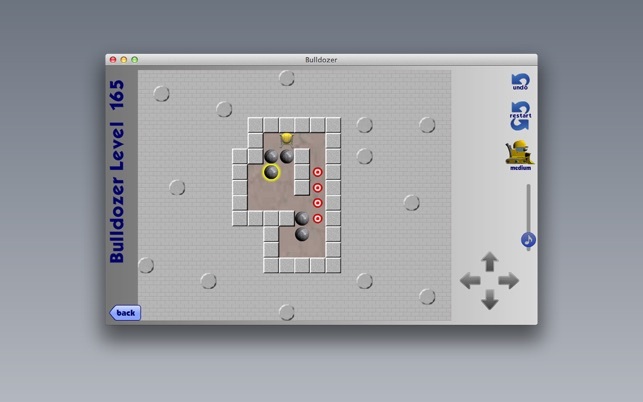 The classic "Push the boulders" game is now available for your Mac at the Mac App Store! 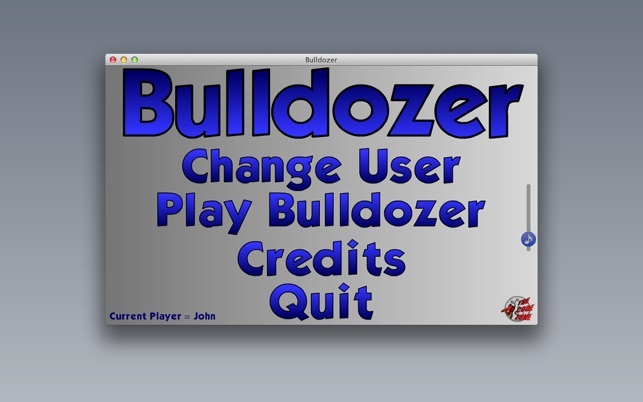 This version includes every level from the original Bulldozer 1, Bulldozer 2, and Bulldozer 3. 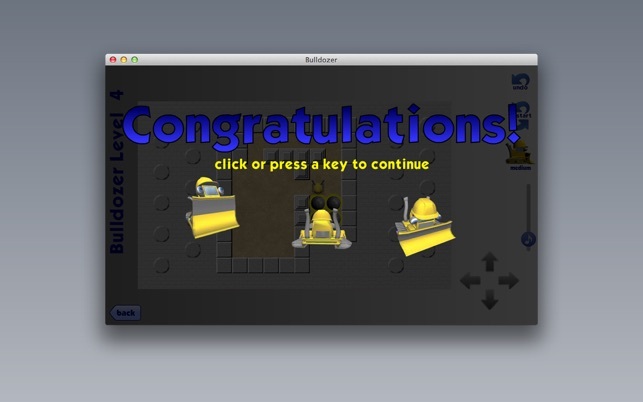 That's 180 levels of addictive rock-pushing obsession. Have fun! Lots of new levels, but also lots of repeat levels. Multi-step undo is very nice. Original game you could undo the last move, but this one seems to track every move. Click to where you want to move is also a really nice feature. You can either put it on slow mode to watch where your dozer has to travel or you can put it on fast mode to instantly get where you need to go…as long as there is clear path. 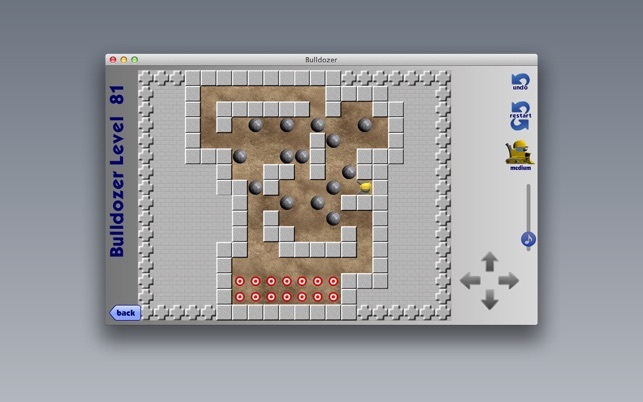 I played this game on my old Mac IIci and when OS X came out, I stopped playing it. Fired up my old Mac 8600 and the original game was on it. Started playing it and got addicted to it all over again. Immediately went to App Store to see if there was a new version and here it is!! Yay! I'm curious if there is a level editor. I'd like to create some levels. One of my all time favorite games ever. Don't let the graphics fool you. This game starts out rather simplistic but each level gets harder and you will have to think your way through before moving. If you make the wrong move you end up trapping yourself and will have to restart that level. 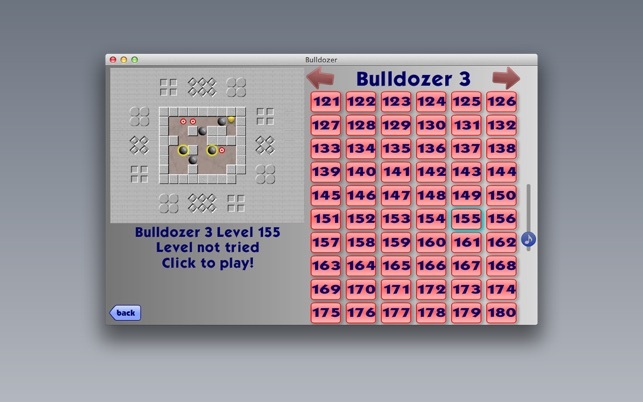 Gets very challenging as you progress through each level.